After the 2005 Dover trial, Judge John Jones recalled that he “was taken to school” by the evolutionists. It was, Jones recalled, “the equivalent of a degree in this area.” Unfortunately what evolutionists such as Ken Miller “taught” Jones was a series of scientific misrepresentations (which you can read about here, here and here). But these were not the only misrepresentations that made their way into American jurisprudence in the Dover trial. For the judge did not enter into his new training as a complete novice. As Jones later explained, “I understood the general theme. I’d seen Inherit the Wind.” It would be like a judge explaining that he already understood the general theme of tornado damage because he’s seen The Wizard of Oz. This level of profound ignorance, in such a position of power, is disturbing to say the least. The key question is: How could this happen? How could our educational system fail so badly? What is the source of such anti intellectualism? The answer, once again, is evolution. Inherit the Wind is a fictionalized account of the famous 1925 Scopes Monkey Trial in Dayton, Tennessee. Jerome Lawrence and Robert Lee wrote the play to illustrate the threat to intellectual freedom posed by the anti-communist hysteria of the 1940s McCarthy era. Parallels to that anti-communist movement, and McCarthy himself, are obvious in the script. And since that dark period in our government’s history is universally and clearly understood to be wrong and evil, Inherit the Wind is itself equally banal and two-dimensional. The script is practically comical in its simplistic, cardboard rendition of the events in Dayton, Tennessee the summer of 1925. The evolutionists are equated with those struggling heroically to defeat the equivalent of McCarthyism and their opponents are equated, well, with McCarthy and his movement. What a windfall for evolutionists. Their dogmatic, religiously-driven movement was now cast as the clear and obvious protagonist and their detractors had become the antagonists. And all of this was presented in the starkest of terms. The message was clear: evolution embodied everything that was good, and their opponents embodied everything that was bad. There was only one problem. All of this was intended as an attack on McCarthyism. The story not only was a fictionalization of the Monkey Trial, it also presented a picture of evolutionary thought with little correspondence to reality. So why did Judge Jones think that he “understood the general theme” because he had “seen Inherit the Wind”? The answer is that for decades evolutionists have heavily promoted Inherit the Wind and used it as a vehicle to advance their movement. 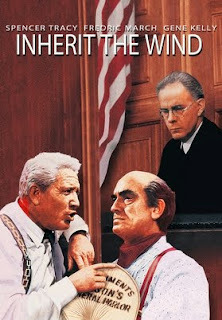 From public education curriculums to international venues, Inherit the Wind is presented as an important and realistic telling of evolutionary thought and its nefarious opposition. That is simply a misrepresentation. John Scopes was not a humble and tireless science teacher, and he was not hauled off to jail by an angry mob of fundamentalists as the script depicts. Nor was he assaulted, burned in effigy and threatened by a lynch mob. In fact, John Scopes never even went to jail. Nor did he, in fear for his life, contact journalist Henry Mencken for help in securing a lawyer. The entire event was cleverly orchestrated by the ACLU which had advertised for a willing teacher to test Tennessee law. The ad caught the attention of local boosters in Dayton, Tennessee who saw it as an opportunity to rejuvenate their decaying small town. They recruited Scopes, a football coach and math teacher to take on the role as the defendant. Once the trial began, Scopes’ legal defense was the dream team of 1925, with nationally recognized legal expertise backing up Clarence Darrow, one of the greatest criminal defense lawyers in American history. In fact Dayton, Tennessee was already using an evolutionary textbook. The textbook, Civic Biology, taught the usual evolutionary concepts of racism and eugenics. The text explained that some people were genetically advanced while others were degenerate, a problem which could be thwarted with forced sterilization. 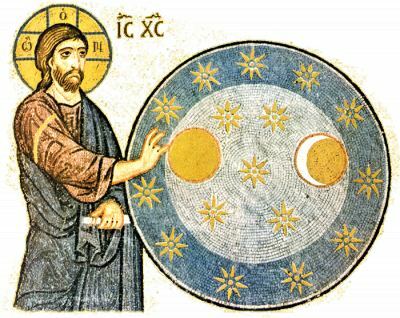 That was a practice that evolutionists had widely implemented in the U.S. at that time. But wasn’t the lead prosecution attorney, William Jennings Bryan, the famed statesman and politician who hadn’t practiced law in decades, an ignorant, scientifically illiterate, bigoted fundamentalist as depicted in the script? No, Bryan was an assistant prosecutor and had little involvement in the trial. His main reason for participating, to deliver the final summation, was cleverly obviated by the defense with a legal maneuver that denied any closing arguments. And Bryan was not a fundamentalist and certainly not bigoted. He had a good understanding of evolution and was concerned with the undefendable claim of evolution as fact. He was particularly concerned with evolution’s degraded view of people. The left-leaning, pacifist was concerned with evolution’s racism, eugenics, social Darwinism and economic laissez faire implications. Bryan was far more articulate and thoughtful than the silly and absurd caricature presented in Inherit the Wind. But didn’t Darrow destroy Bryan on the stand, revealing his literalism and fideism, forcing him to claim special revelation and reducing him to an incoherent babble? Again this is a complete fiction. No such exchange took place. In fact the movie’s trial scenes are mostly fictitious, with only limited correspondence to the real trial. But didn’t Bryan pathetically attempt to deliver a speech after the trial adjourned with his agitated shouts going unheeded as the crowd turned away? Again, while this is reminiscent of Joseph McCarthy’s pathetic demise, it is another fiction. Nothing like it occurred during or after the trial. The list goes on and on. While Inherit the Wind was intended as a vehicle to expose McCarthyism, the evolutionist’s promotion and use of the play and movie is a lie. From the setting and context to the trial itself, Inherit the Wind is a lopsided misrepresentation of the events in Dayton and evolutionary thought in general. And now, in the hands of Judge John Jones, that lie has propagated into American jurisprudence. It reminds me of Robert Altman’s movie The Player in which the Hollywood culture sees everything as another story and plot-line. Movies and real life imperceptibly blend together. We’re in trouble when our entertainment culture becomes our reality. As a reader requests, please, nobody show Jones the “Bigfoot” episodes of the Six Million Dollar Man lest he think a missing link has been found. The History of the Word "Scientist"